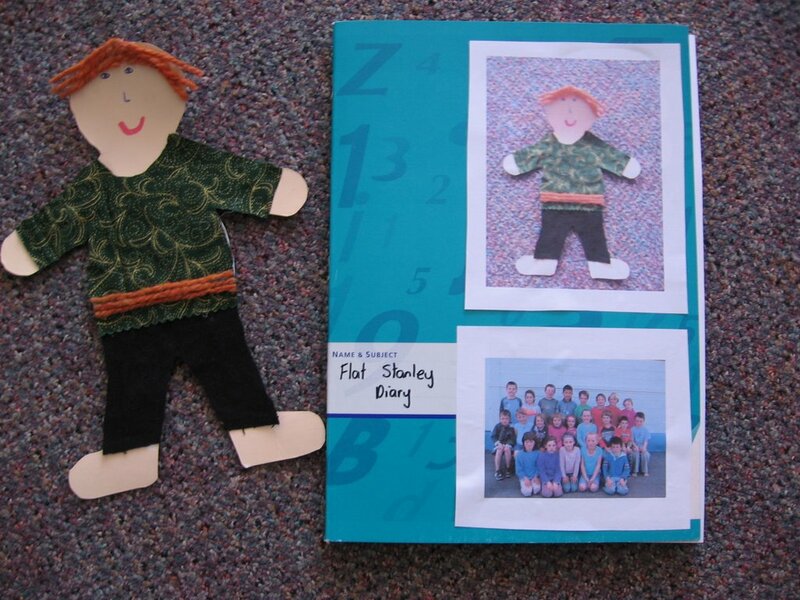 We got Flat Stanley One ready for his trip to Queensland. We put him in an envelope with his diary. We hope to find out lots about all the fun things that happen on his trip when he returns. 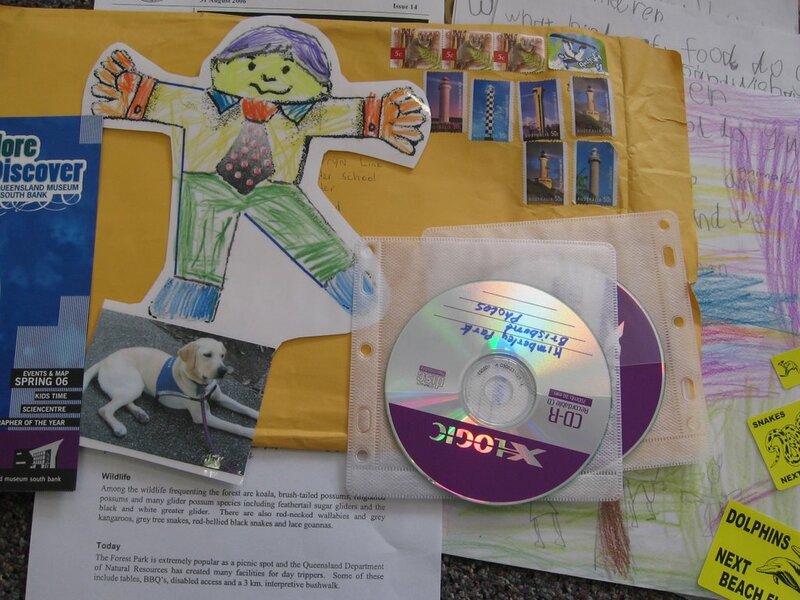 We were all really excited this morning to receive our first Flat Stanley from overseas. This one came fron Queensland in Australia. Today we got to plant the trees around the hall. 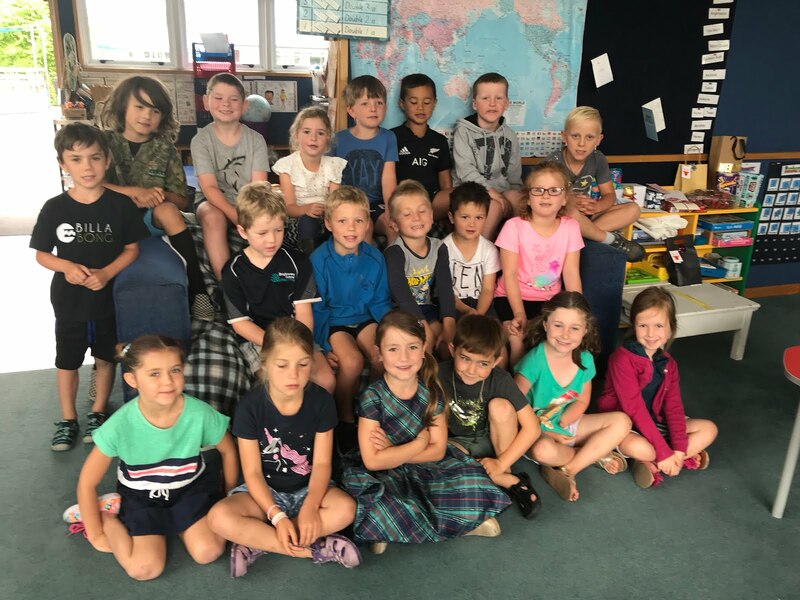 These Room 4 people are going to watch their trees as they grow. Mrs Lines found a Flat Stanley website when she was playing on her computer. 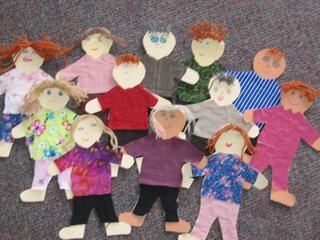 She put her name in and we have had three schools email us to ask us if we would like to host a Flat Stanley and send one to them. We emailed back we would love to. 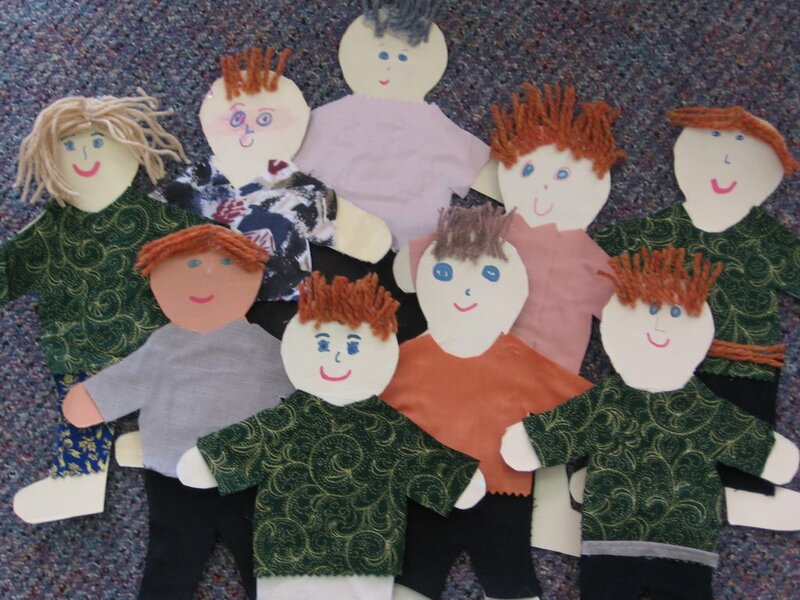 We have been busy making flat people for the last two days. We are going to send one to Scotland, one to Canada and one to Australia. 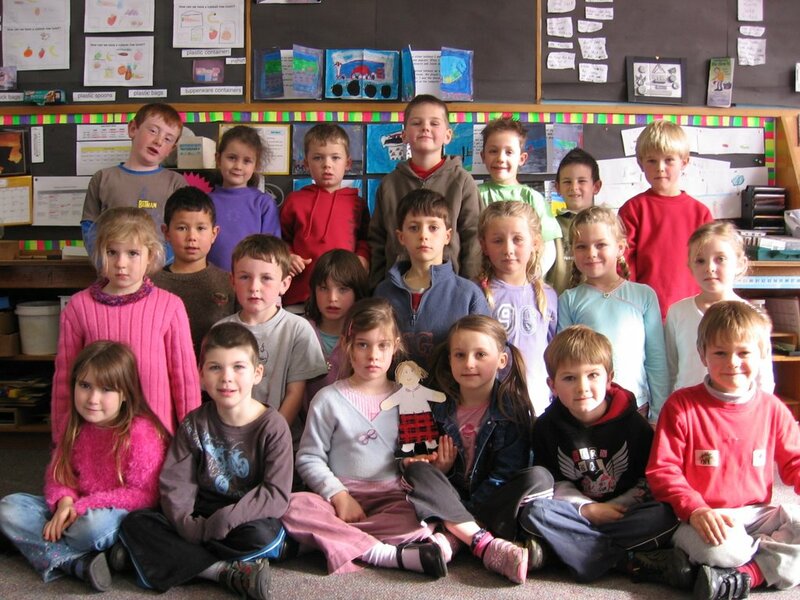 Next term we are going to choose some other countries to send our Flat people to, to have adventures. We are sending Flat Julia back to Julia at St Pauls. We have really enjoyed having her visit us and going on adventures. Thank you Julia for sending her to us. This morning we were visited by three rally cars and their drivers. The drivers talked to us and then we all got to look at the cars. We all got posters and a booklet with all the rally cars in it. Today we were allowed to bring things with wheels for our class treat. We were really pleased when the sun came out and the rain stopped. Flat Julia came to my house last night. We made pancakes with her. She watched Mum flip the pan with the pancakes. I gave Flat Julia some pancakes with golden syrup. She thought they were delicious. She slept on top of my TV. Flat Julia came with me to Christchurch.She did not get carsick. She watched DVD's on the way. On Friday we went to the mall and went to Pumpkin Patch. I got some new jeans and a new white cardigan. After we had been to The Palms Edie had a sleep. Jade and I made a card for Dad. 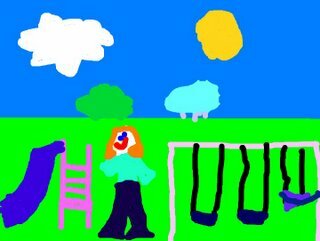 Jade took Edie and I to the park. Flat Julia came too. We went on the swings with Flat Julia. On Father's Day we went out for lunch at our Nana's. Our cousins came too. We played houses. Nana has a little pond and we skipped over the square rocks. On the way home on Sunday afternoon Edie and Flat Julia had a sleep. It had been a busy weekend.